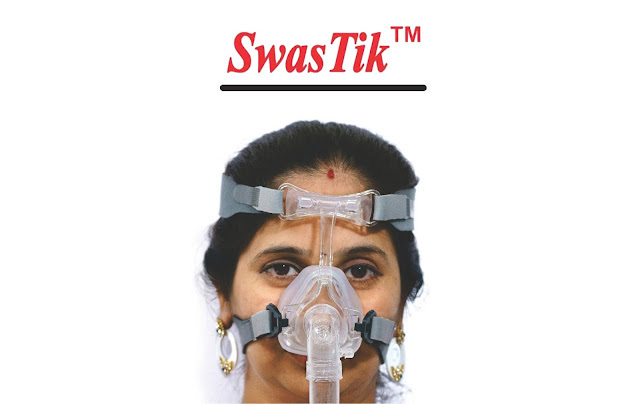 You may think SwasTik CPAP Nasal Mask a disposable Hospital mask, moment you see its price, that is substantially low. It is NOT a disposable mask meant for Hospital use. Actually, it is a REUSABLE mask meant for home use. 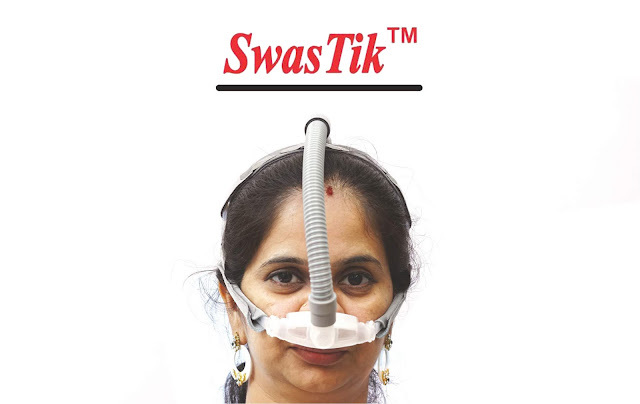 The quality of this mask can be compared to reusable masks of various leading brands such as ResMed, Philips Respironics, Fisher & Paykel, Devilbiss and others costing nearly Rs.6,000 or more. Yet, this mask is available for substantially low price, giving you the best value for money. Why unnecessarily waste money when you can get the same quality for such a low price....! Just try and see.. if you like post your reviews here.. it will be helpful for others...! The mask is imported but packed and branded in India. It is compatible with all leading CPAP / BiPAP machine brands such as ResMed, Philips Respironics, Fisher & Paykel, Devilbiss and others. 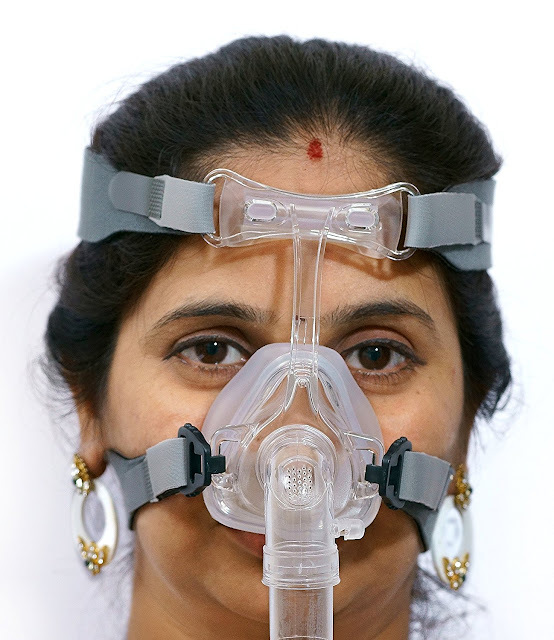 CPAP Face Mask Large with Head Harness for Obstructive Sleep Apnea. Our silicon CPAP Face masks can be used for BIPAP Machines also. Cheapest and most economical CPAP mask that is compatible to Resmed, Respironics, Devilbiss, Fisher & Paykel and other popular cpap (continuous positive airway pressure) machines. Reusable Comfy Silicon provides the maximum comfort for long hours. Frame-less mask for the least binding but the most stability of silicone-only mask. Double Silicon Pads softly support users forehead and cheeks. Detachable Design for the forehead pads and the face mask, easily removed to clean and assembled every time. Elbow Shaped Swivel Port for OD 22 MM circuit, allows users free movement during deep sleep. Soft Adjustable Headgear suits different sizes of users head.